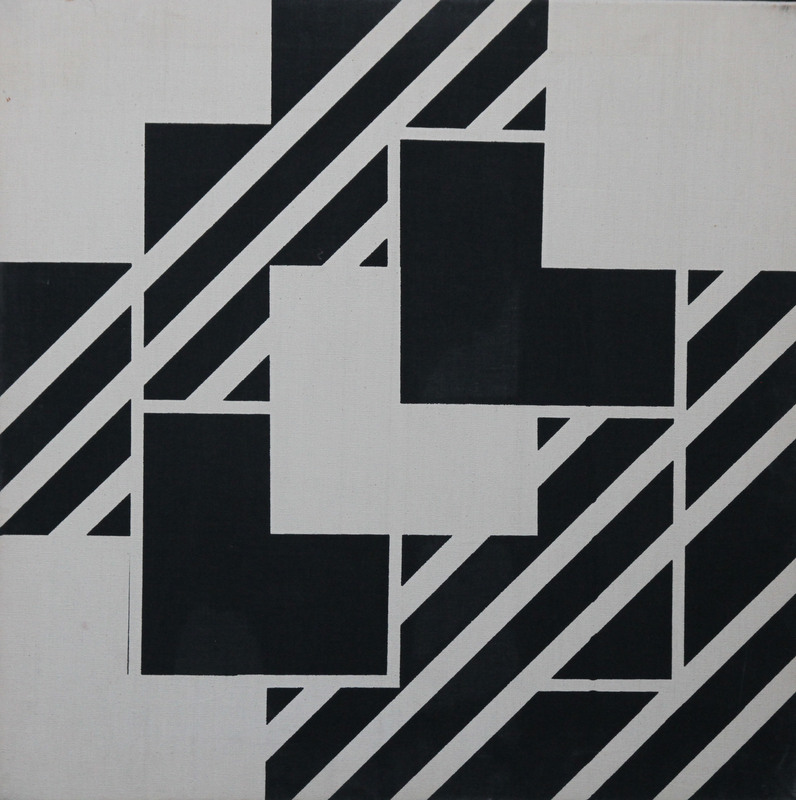 An original ink on canvas by Theodore Mendez who played an important role in the Post War British art movement and the Post Modern art movement. This simple yet stunning work dates to circa 1968 and has the conceptual properties of Bridget Riley. Signed verso.